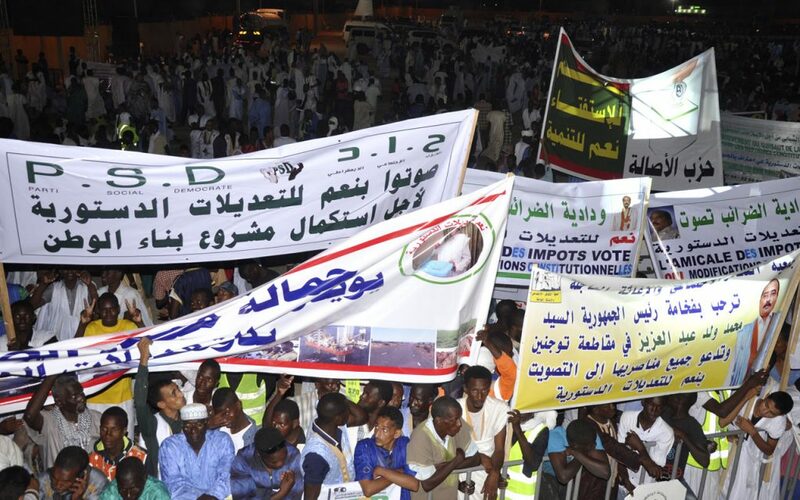 Today, Mauritania will hold a referendum on a series of constitutional amendments, the most consequential of which will abolish the country’s upper parliamentary house and top court, which President Mohamed Ould Abdel Aziz claims are corrupt and inefficient. Opposition figures in the west African state claim the measures will shred the country’s system of checks and balances. The referendum’s campaign cannot be considered fair; the “no” camp is only granted a fraction of airtime by state television and radio stations. Anti-referendum protesters have demonstrated daily since July 21, resulting in numerous arrests and injuries and reports of liberal use of beatings and tear gas by security forces. While no official polling has been conducted, the opposition’s declared abstention from voting certainly helps President Aziz’s chances. Should the referendum pass, and mass protests ensue, spill-over political crises could erupt in any of Mauritania’s vulnerable neighbours—particularly Mali. To Mauritania’s east, Mali’s government has had trouble regaining control of its northern region after a coup and subsequent insurgency. Given the instability of Mali’s other neighbours, mainly Niger and Burkina Faso, political tumult in Mauritania could jeopardize the Sahel’s teetering law, order, and democratic institutions. Delve deeper: Sahel strive: military responses without peacebuilding?